In 2014, The Foundation achieved a major milestone by completing the funding for the Ross M. Wilkins, M.D. Limb Preservation University Chair in Musculoskeletal Biology and Oncology. This achievement is a commitment, in perpetuity, to advancing research and accelerating improvements for individuals facing life- and limb-threatening conditions. 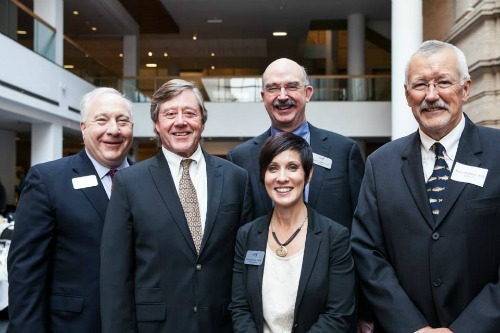 AlloSource, one of the nation’s largest providers of skin, bone and soft tissue allografts for use in surgical procedures, and the world’s largest processor of cellular bone allografts, pledged the lead gift to the University Chair. The McDonnell Family Foundation and the Ferguson Family joined the campaign as major sponsors, along many generous supporters of The Limb Preservation Foundation. Colorado State University matched each dollar raised to fund the University Chair. The Ross M. Wilkins, M.D. Limb Preservation University Chair in Musculoskeletal Biology and Oncology will be lead by a permanent full-time scientific researcher with PHD/VMD in Musculoskeletal Biology and Oncology at CSU Flint Animal Cancer Center. The program will ensure on-going advancements in this understudied field of limb loss prevention, coordinating research efforts in tissue engineering, molecular therapeutics, gene therapy, biomechanics, computer modeling, polymer chemistry, bench research, translational medicine and clinical studies efforts with one overarching goal: the health, wholeness and well-being of patients whose limbs and lives are at risk due to cancer, infection or trauma. 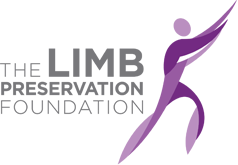 Staff will work with researchers at Colorado State University and scientists and medical professionals from around the globe to advance research on current and challenging issues surrounding limb preservation. Learn more about Dr. Wilkins and his passion to end unnecessary limb loss.